Laura Capps has worked for some of the biggest players in politics. After graduating from UC Berkeley she landed an internship at the White House, and was hired on full-time as the assistant to George Stephanopoulos. She was a speechwriter for President Clinton, a communications director for John Kerry’s presidential campaign, and an aide to Senator Edward M. Kennedy. Today, she’s focused on another kind of public service. She’s the founder of Mission Partners, a public affairs firm supporting state and national non-profits. She also spearheads a coalition to help kids get free healthy meals in the summer, and sits on the board of the Santa Barbara Unified School District. So how in the world does she do it all? Multi-tasking is one way to juggle a busy work-life schedule, she says. “I’m walking my dog while I’m taking this call,” she said, “…and the ability to be flexible.” She also flies Surf Air. 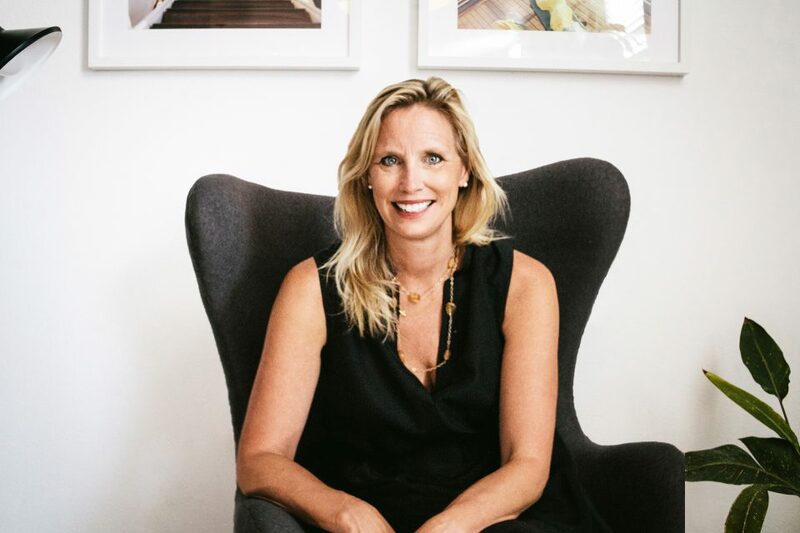 Here, she talks to us about why she skipped a bid for Congress, how she passes the time on Surf Air flights, and what it was like to go to work everyday in the White House. Not many people can say their first job was in the White House. How did you land that position, and what was it like? I always had a dream of moving to Washington when I was in college. My parents took me to D.C. when I was nine, and I fell in love with the place, its history and its magic. I just worked on getting there after college and got an internship in the White House for a couple of months, which turned into a full-time paid position with Stephanopoulos. When I say full-time, as an intern for those first few months from January to April, I probably worked harder than I’ve ever worked in my life. Seven days a week. I made myself indispensable, so when his assistant left I knew everything. My office was right next to the Oval Office. [Stephanopoulos] was a great first boss. He was very even-tempered and fair in a high-stress environment. I saw firsthand that you can still be decent to people while being really effective. We got along really well and the job sure gave me a good jumpstart on a career in politics. Undoubtedly, and then you went to work for John Kerry’s presidential campaign. Yeah! During the Bush years, I was living in San Francisco. I missed politics so I took a leap to join John Kerry’s campaign. I lived in North Beach in San Francisco and moved to Des Moines, Iowa. [laughs] It was wonderful. The candidate, in the early parts of the campaign, spent a lot of time in Iowa and I got to go all over the state with him. I met a lot of people, and learned what they cared about in a place that’s very different from California in its politics. [In California,] presidential campaigning is mostly about TV advertising, and not as much about meeting in small diners with 10 people. We did a lot of that. I had a lot of profound respect for Kerry as a person, for his character and his intellectual curiosity, and also for the people of Iowa and how they take the privilege that they have to be the first caucus for the presidential election. Fast forward to today, and you’re now running your own business in Santa Barbara. Yes, Mission Partners, my public affairs firm I started five years ago, has gone really well. I’ve been lucky that all the issues I work on I’m very passionate about. The main non-profit I’m working with now is working on ending poverty in California. It’s called CalEITC4Me. The California Earned Income Tax Credit is a state program to help very low-income workers get cash back when they file their taxes. CalEITC4Me is about educating low-income workers, predominantly single moms, on how they can claim this cash they’ve earned to help them meet life’s basic needs: food, housing, and healthcare—often for their kids. You’re running a business, actively involved in the community, and have a young son. 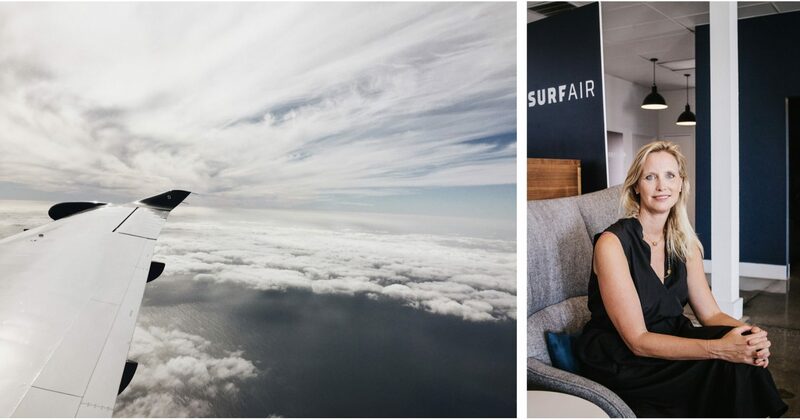 Does Surf Air help alleviate some of that stress of doing it all? Being home at night, when you’re a mom, that’s critical, I believe. That was part of my decision not to run for Congress, just the idea that if I were to win I’d be away from my son four nights a week. The ability to have a work day in the Bay Area, yet be home to tuck him in at night is really a wonderful aspect of it. Normally when you fly to San Francisco, there’s a good chance you’re going to be delayed. [SFO is] great when it works, but it’s just so rare that it’s on time. It’s not only the time that [Surf Air] saves but the dependability. Also, because I do work for non-profits, if they want me to be in a meeting in San Francisco, I’d have to say ‘great, I can be there, but it’s going to cost you about $900’. So it’s part of my business plan now: rather than get reimbursed for the commercial cost of a flight, I incur that cost through Surf Air and work it out with my client at a much lower rate. What’s your favorite thing about Surf Air? What’s something you always bring on board with you? Podcasts. I’m such a podcast fan, and there are such good ones these days. New York Times Daily, for an in-depth look at the news. I love Goop, the new Gwyneth Paltrow podcast. I listen to a meditative Buddhist psychologist, Tara Brach, when I want to zone out and go inward. I also listen to Oprah’s Super Soul Sunday podcast and The Thread by OZY.